Passengers on Australian flight Regional Express ZL319 had an unfortunate surprise last Friday, November 25, when it was determined that a passenger’s iPhone 4 started emitting a significant amount of dense smoke, accompanied by a red glow. Luckily, no one was harmed, according to a Regional Express press release. According to the report, the iPhone 4 mishap occurred as the Lismore-to-Sydney plane was landing. In accordance with company standard safety procedures, the Flight Attendant carried out recovery actions immediately and the red glow was extinguished successfully. 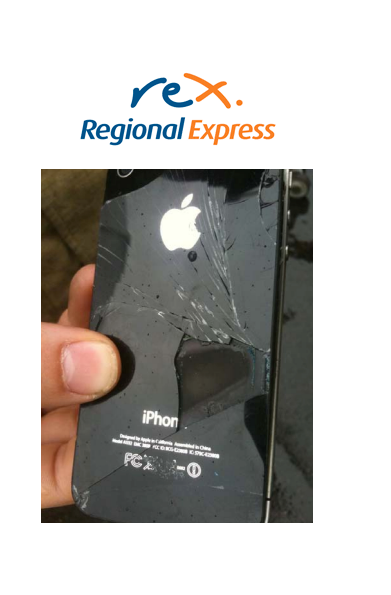 Whilst reports are few and far between, iPhone owners have shared experiences of their handsets exploding when in use. Similar to this story, users have noticed the handset running very hot before exploding. In device teardowns, the iPhone 4 has been shown to house a battery just below the case on the right-hand side of the device. Given the heat of the phone and the smoke, it would appear the battery could be at fault. Our advice - If your iDevice begins getting significantly hotter than expected, turn it off and contact Apple immediately. Otherwise, assume this type of story is an isolated incident. We'll keep you updated.